Why Facebook just spent $2 billion on virtual reality. Google has humanoid robots, self-driving cars, and deep neural networks. Tesla has a Hyperloop. 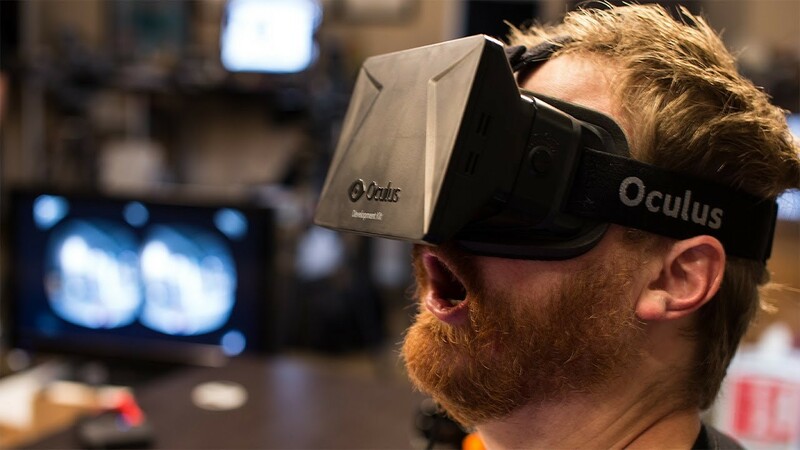 Facebook now has virtual reality. If you've been following the movement of the big tech giants closely, you can notice trends developing on two very separate planes. One plane is practical. It involves building software and hardware, and acquiring applications and companies aimed at solving the problems of today (as well as acquiring companies that represent an immediate threat to one's business). Facebook's purchase of WhatsApp is aimed at the problems of today. Google's multibillion-dollar acquisition of Waze follows a similar path. On a separate plane are the companies, products, hardware, and software aimed squarely at the future. These are the moon shots. They come across as science fiction. They're exciting, alienating, creepy, and hopeful all at once. More importantly, they're the rebranding method of choice for the world's biggest tech companies. Take Google. In recent months the company has openly and brazenly promoted its lofty futuristic projects. It spent more than $3 billion for a company that makes futuristic smart thermometers for the home called Nest. It acquired Boston Dynamics and its arsenal of terrifying robots. It teased an implanted contact lens back in January along with a Time cover story cheekily asking, "Can Google Solve Death?" These moon shots are exciting and they make headlines, but their primary purpose is to function as ideas and research laboratories. Google's real money still comes from search and AdSense. Or, put another way, the real money comes from the projects aimed at today. For Zuckerberg and Facebook, the Oculus acquisition is about joining that futurist news cycle and entering the pantheon of CEOs like Larry Page, Sergey Brin, and Elon Musk. In his letter, Zuckerberg invites users to imagine a future "enjoying a court side seat at a game, studying in a classroom of students and teachers all over the world or consulting with a doctor face-to-face — just by putting on goggles in your home." Because it's not as if the Oculus Rift is very close to becoming a widely used consumer device. The Rift headset is still only available as a developer kit, and though abiding rumors place a consumer later this year, there's no guarantee that, given the acquisition, these rumors will hold true. In addition, the wow-factor demos that have largely put the tech media on the side of the Oculus Rift (since its introduction in June 2012) are just that: demos, not fully fleshed-out products for which consumers will pay. Even if the small army of developers working on Oculus projects produce a handful of great games, and that's not a given, and even if major publishers add Rift support to their mainstream games, it still obviously remains to be seen whether a consumer audience is ready to bring a big, weird, head-worn monitor into their living rooms, especially one that costs, as is also rumored, $500. The timing of the announcement is especially interesting given Sony's unveiling last week of Project Morpheus, a PlayStation 4 compatible head-worn display. Sony, unlike Facebook, has decades of hardware experience. It also has a long history of developing head-worn displays, including well-regarded ones that are already on the market. For Sony, a VR product isn't a moon shot — it's an iteration. A user enjoys the Oculus Rift. This isn't to say that Oculus won't succeed, or succeed wildly, but that expectations for the consumer market potential of the first generation of the device should be held in check. When it comes out, it will be an expensive new piece of hardware without a library of dedicated software that will likely be, at least at first, the plaything of enthusiasts and acolytes. And that's why the purchase is unequivocally a good thing for Oculus; having a rich parent company that isn't afraid to push through a rough launch into more polished iterations of the product means that the company won't have to constantly answer existential questions. Indeed, it's Facebook and Zuckerberg who now bear ultimate responsibility for this long-held techno-utopian dream. Since Facebook's disastrous IPO, Zuckerberg has proven himself a shrewd businessman and an excellent dealmaker. He is now, by all definitions, a full-fledged mogul. But the great tech executives are no longer just businessmen; Larry Page and Elon Musk are also visionaries and futurists. They're building right now, but have their sights set on a new trajectory — one that has lofty ambitions rooted in altering the course of human experience. Simply put, Mark Zuckerberg wants a moon shot. And now, he's got the tools for one.